What a wonderful meal! 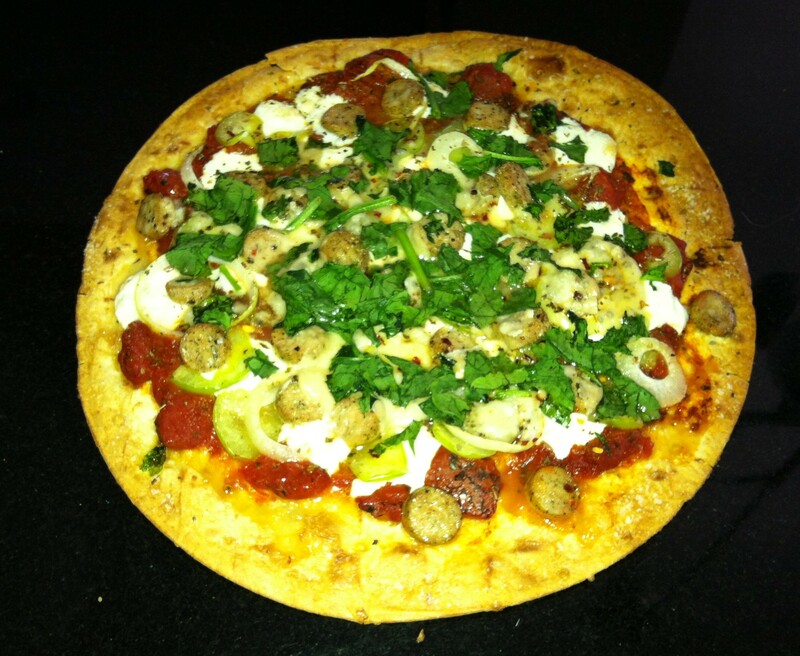 Topped with fresh and nutrient packed ingredients its no wonder why this flat bread pizza is so satisfying. 1) Pre-heat oven to 400 degrees. Mix first three ingredients together and then spoon a thin layer over thin crust. 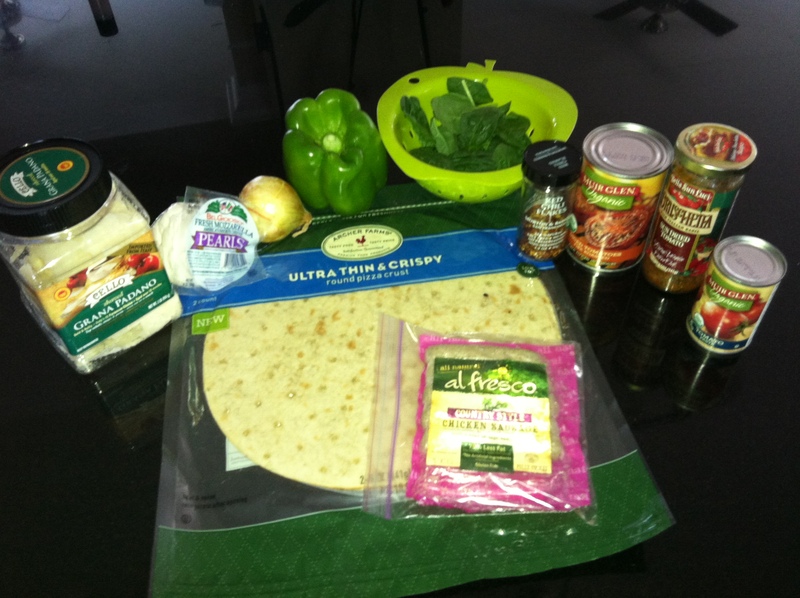 2) Add mozzarella cheese, and then layer each ingredient in the order listed above. 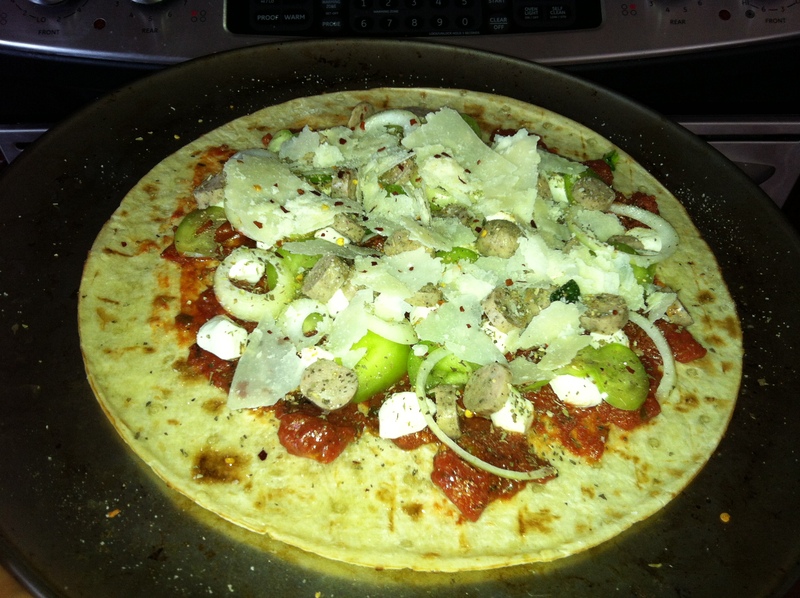 Be sure to space each topping evenly on the pizza, filling in gaps with each ingredient. 3) Mix all herbs and spices together and sprinkle evenly over the pizza. 4) Spray, baste or drizzle olive oil over crust, then sprinkle crust with salt. 5) Bake at 400 degrees for 10min then remove from heat and add chopped spinach. Put back in oven for another 3-5min (or until crust is golden brown).